In the 21st Century, Hollywood has retained the glitz and glamour of its past as well as its great studios. But the genius of American cinema is that it has evolved with the times. Directors have become the creative force behind films, while movies themselves, from documentaries and animation to blockbusters and insightful Indies have taken on the mantle of great literature. The Great Directors: The Making of 21st Century Hollywood traces the evolution of Hollywood after the studio system failed, from the introduction of the summer blockbuster, to the thought-provoking movies of independent auteurs, to world renowned immigrant directors, to the rise of megahit documentaries, and to the 21st Century\'s second Golden Age of Animation. In the 1970s Hollywood escaped slow financial ruin with the introduction of the summer Blockbuster. Featuring Steven Spielberg, George Lucas, Francis Ford Coppola, Jon Favreau, Sam Raimi, Michael Bay and James Cameron, Program 1 shows how this idea not only redefined Hollywood, it established one of the cinema's greatest financial marvels - the franchise. 00:04:09The Tent Pole concept is the blockbuster, the big film that makes money for the studio, and is based on the summer blockbuster, first done by Steven Spielberg with Jaws, and refined by George Lucas and Francis Ford Coppola. 00:05:14Francis Ford Coppola, a UCLA Film School student, worked for Roger Corman and wrote screenplays, such as Patton, then later with George Lucas formed American Zoetrope and went on to direct the hit movies The Godfather Trilogy - The Godfather, The Godfather Part II, The Godfather Part III - and Apocalypse Now. 00:04:43Megahit director Steven Spielberg's first film was Firelight, and he has since gone on to create Duel, the Summer Blockbuster Jaws, Close Encounters of the Third Kind, ET, the action packed thriller Jurassic Park, Schindler's List, Saving Private Ryan and Lincoln. 00:03:35George Lucas, founder of LucasFilms and Industrial Light & Magic, understood the blockbuster mentality and went on to create many memorable characters including Darth Vader, Yoda and Indiana Jones as well as the blockbuster franchise Star Wars. 00:06:19Spiderman, Harry Potter, Iron Man, Transformers, The Dark Knight Rises and The Avengers are examples of the franchise installment and some of the best directors of the franchise film event are Jon Favreau, Sam Raimi, Michael Bay and the master, James Cameron. While one half of Hollywood is the glitz and glamour of the blockbuster producing studios, the other half is the Indie. Program 2 examines the independent auteur, the author of the avant garde literature of modern American film, and features the directors John Cassevetes, Stanley Kubrick, Robert Altman, Woody Allen, Quentin Tarantino, and Ethan and Joel Coen. 00:02:57The auteur concept means that the director is the guiding figure behind a film and this is evident with the American Auteur of the New Wave and the production of American indies or independent films. 00:03:55John Cassavetes was the father of the independent film, or indie, and directed Shadows and Woman Under the Influence. 00:04:18Stanley Kubrick, one of the greatest independent film makers, directed 2001: A Space Odyssey, Dr. Strangelove, Clockwork Orange, Barry Lyndon, The Shining, Full Metal Jacket and Eyes Wide Shut. 00:03:26Robert Altman who used a cinema-verite style in creating movies directed, M*A*S*H, Mash, McCabe and Mrs. Miller, and Nashville. 00:04:03Woody Allen, born Allan Stewart Konigsberg, won an Oscar for his comedy film Annie Hall. 00:02:45Quentin Tarantino directed Pulp Fiction, Reservoir Dogs, Inglourious Basterds and Django Unchained. 00:04:04The Coen Brothers, Ethan Coen and Joel Coen, have directed genre bending films such as Blood Simple, No Country for Old Men and the remake of True Grit. 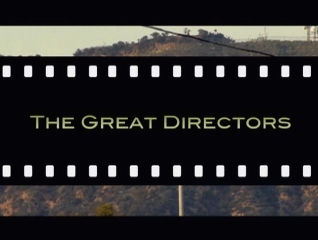 Hollywood has always attracted foreign directors with superb cinematic dreams, including visionaries such as Otto Preminger, Billy Wilder, Alfred Hitchcock and Ang Lee. Program 3 describes the impact of immigrant filmmakers, including Ernst Lubitsch, Otto Preminger, Elia Kazan, Alfred Hitchcock and Ang Lee, not only on American cinema, but on the story of America, showing Americans who they are from the outsider's perspective. 00:03:32Immigrant filmmakers and Immigrant directors have always had a unique insight into American values and what makes America what it is as a country and a people. 00:04:07German filmmaker Ernst Lubitsch was the first director to create black comedy in films such as To Be or Not To Be, Trouble in Paradise and Ninotchka. 00:04:38Austro-Hungarian filmmaker Otto Preminger was the director of Anatomy of a Murder, The Man with the Golden Arm and Advise and Consent. 00:04:33Greek filmmaker Elia Kazan, known for creating social realism and introducing method acting from the Actors Studio, was the director of A Street Car Named Desire, On the Waterfront starring Marlon Brando, and East of Eden starring James Dean, and, after joining the American Communist Party in the 1930s, named many of his fellow filmmakers and artists to the House Un-American Activities Committee. 00:05:00British filmmaker Alfred Hitchcock, the master of suspense, was the director of Psycho, Rope, Rear Window and Vertigo, starring Jimmy Stewart, and hosted the TV program Alfred Hitchcock Presents. 00:03:12Taiwanese filmmaker Ang Lee, is a Chinese director who directed Crouching Tiger, Hidden Dragon, The Ice Storm, Life of Pi and Brokeback Mountain, which dealt compassionately with homosexuality. The process of documenting ordinary or exceptional events in such a way that they tell a compelling story is the skill set that documentary filmmakers bring to moviemaking. Featuring Robert Flaherty, Maya Deren, Stan Brakhage, D.A. Pennebaker, Errol Morris and Ken Burns, Program 4 describes the genre of short documentaries and experimental films from the 20s and 30s which blossomed into the megahit documentary features of the 21st Century. 00:04:11France's Lumiere Brothers made short films about everyday life, but it wasn't until critic John Grierson said Robert Flaherty's Moana had a documentary realism to it that the documentary film genre was born, which should not be confused with film propaganda such as Nazi Germany's Triumph of the Will. 00:03:27Robert J. Flaherty, the father of the documentary, directed and produced many fine films, including Nanook of the North, Moana and Man of Aran. 00:03:59Maya Deren, the mother of experimental filmmaking, produced Meshes of the Afternoon; and Stan Brakhage made the experimental film Mothlight. 00:03:59D.A. Pennebaker pioneered Direct Cinema, also known as Cinema Verite, and the fly on the wall technique of documentary filmmaking, and with Richard Leacock, directed and produced Don't Look Back about Bob Dylan's U.K Tour, then later married Chris Hegedus, producing such documentaries as The War Room, about Bill Clinton's run for the presidency in 1992. 00:04:34Documentary filmmaker Errol Morris produced The Thin Blue Line, Gates of Heaven, Vernon Florida and The Fog of War. 00:04:36Documentarian Ken Burns, who pioneered the Ken Burns Effect, set the style of historical documentaries with Brooklyn Bridge and The Civil War among others. Animation is as old as Hollywood itself. Program 5 traces the evolution of Animation from the earliest feature, Winsor McCay's Gertie the Dinosaur, and the genius of Walt Disney to the CGI megahits of studios like Pixar in Animation's Second Golden Age. 00:05:02A second Golden Age of Animation, introduced in 1995 with the release of Toy Story, was brought about with CGI Computer Generated Images, and resulted in a new Best Animated Feature Academy Award, won for the first time by Shrek in 2001. 00:03:05Winsor McCay created the first true animated film, Gertie the Dinosaur, followed later by Gertie on Tour, which opened the way for many cartoon characters such as Krazy Cat, Popeye, Felix the Cat, Tom and Jerry, Betty Boop, Daffy Duck and Bugs Bunny. 00:08:45Walt Disney founded the Disney Brothers Studios, later known as the Walt Disney Company and later Disney Studios, which created many memorable characters and movies, including Snow White and The Seven Dwarfs, Mickey Mouse, Alice in Cartoonland, Oswald the Lucky Rabbit, Silly Symphonies, Minnie Mouse, Donald Duck, Goofy, Pluto, The Three Little Pigs, Fantasia, Pinocchio, Bambi, Cinderella, Lady and the Tramp, The Little Mermaid, Beauty and the Beast, Aladdin, and The Lion King. 00:03:36Animation director Chuck Jones, who worked at Walter Lantz Studio and for Warner Brothers, is known for endearing characters such as Road Runner, Wile E. Coyote and Pepe le Pew, and he also directed many wonderful movies, including Duck Amuck with Daffy Duck How the Grinch Stole Christmas, and The Dot and the Line. 00:04:00Founded by Steve Jobs, Pixar Animation Studios produced Toy Story - put together by John Lasseter, Pete Docter, Joss Whedon, Andrew Stanton, Joel Cohen and Alec Sokolow - as well as Up, Ratatouille, Toy Story 2, Toy Story 3, and Brave.